Josh is a Honda lover. Once he learned about the Kei class of JDM cars, he knew he needed a Honda Beat in his life. 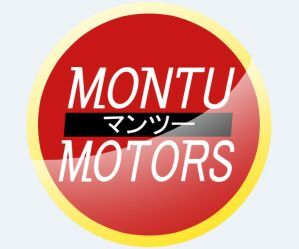 After researching how difficult it is to reliably import a car from the other side of the world, he sought Montu Motors. Josh told the Montu Motors sales team that he’s looking for a Honda Beat with a hard top and if possible, a couple tasteful mods. He was blown away by Montu Motor’s professionalism and how easy the whole process was. As you can see from the video, Josh loves his Honda Beat (almost too much). His excitement is no rare occurance here at Montu Motors. Customers are always excited to be picking up their dream cars. Don’t wait to get your dream car, Josh didn’t. Contact Us today! Often times people think Montu Motors only sells vehicles in their inventory. Montu Motors imports special request cars all the time. Often times special request cars aren’t eligible for import yet (not 25 years old) so they store the cars in Japan until they’re ready to be imported. Check out this Mazda RX7 that sold, the customer is waiting over a year to get this car!